All TURQUOISE LAKES ESTATES homes currently listed for sale in Leadville as of 04/22/2019 are shown below. You can change the search criteria at any time by pressing the 'Change Search' button below. If you have any questions or you would like more information about any Leadville homes for sale or other Leadville real estate, please contact us and one of our knowledgeable Leadville REALTORS® would be pleased to assist you. "Very impressive rental projection. 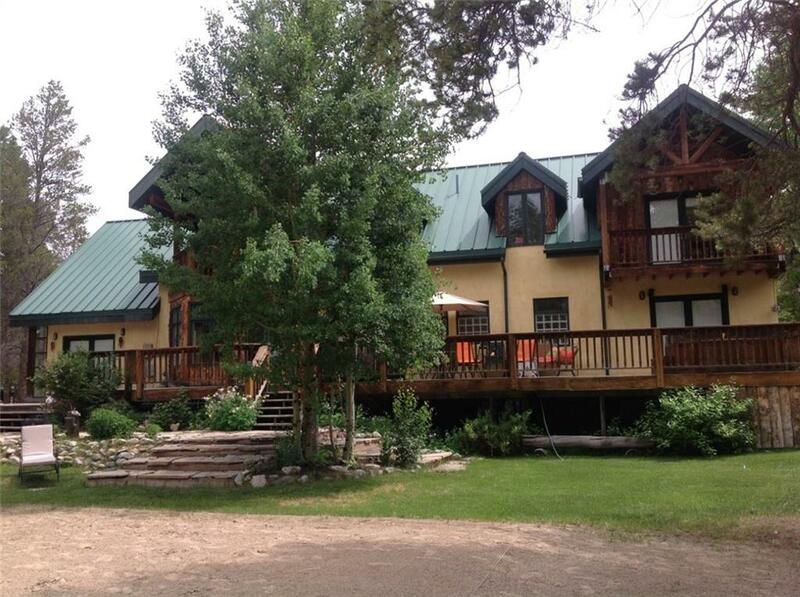 This 4br plus den + loft home for mountain living and or rental. Custom built only one owner. Open concept feels spacious. Cozy wood burning fireplace and lots of seating. The kitchen is great for entertaining. Big deck with hot tub. Wonderful yard with a volleyball court. Downstairs rec room with sauna. 3 lots, 1 can be sold or built on. Quiet forested neighborhood. You are a 5' drive to downtown, 15' to Ski Cooper and a short bike ride to Turquoise Lake"